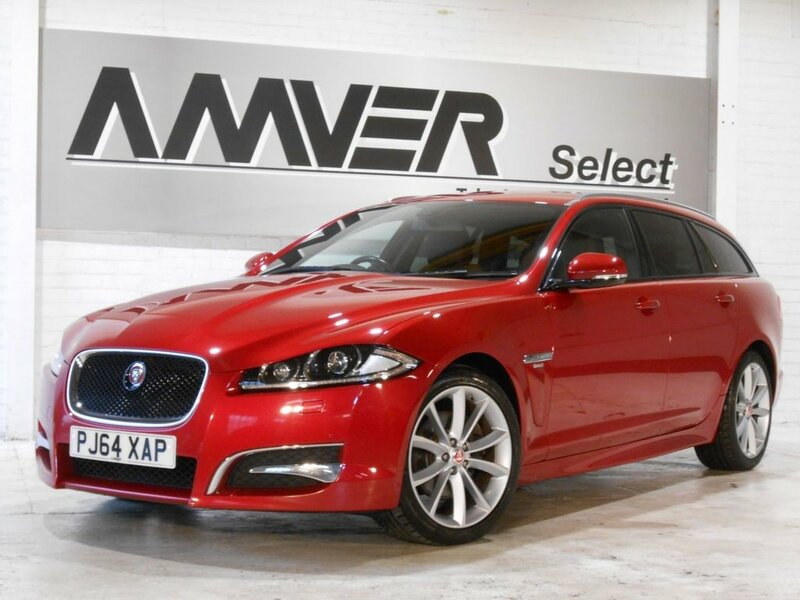 A perfectly maintained one owner XF Sportbrake R-Sport with full Jaguar service history in Italian Racing Red metallic, trimmed in black Bond grain leather & suedecloth with red contrast stitching. A superb example with some great options on top of the already excellent R-Sport specification including Winter Comfort Pack with heated seats & heated windscreen, Parking Pack with front & rear parking sensors & reversing camera, Meridian sound system with subwoofer, Jaguar SmartKey system with keyless entry, Jaguar 19" Aquila alloy wheels & more. 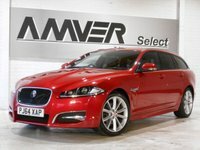 Other equipment highlights include satellite navigation, Bluetooth, CD/DVD player, DAB radio, drivers seat dual memory, powerfold electric mirrors, rain sensor wipers, automatic headlights, powered tailgate & R-Sport bodystyling with dark privacy glass & gloss black window surrounds. Just 44,000 miles, supplied with complete book pack in Jaguar leather wallet, two keys & full Jaguar history, last serviced at Prestige Jaguar just 30 miles ago.